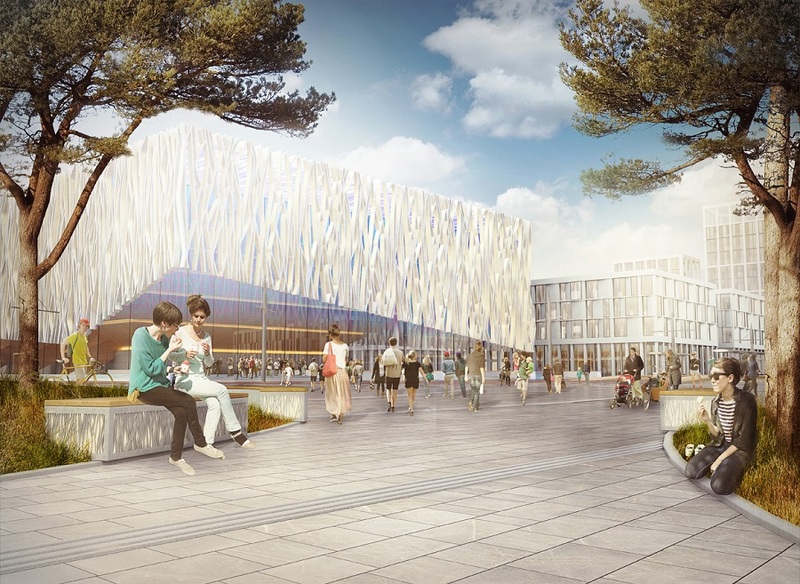 7N Architects have been awarded the commission to masterplan the site of the former Shetland High School in Lerwick with a view to establishing a mixed-use quarter within the Old Town. New uses are being sought for 6.5-hectare Knab Campus in advance of the decant of staff and pupils to a purpose built campus at Stanley Hill, incorporating a mix of homes, open space and landscaped grounds. 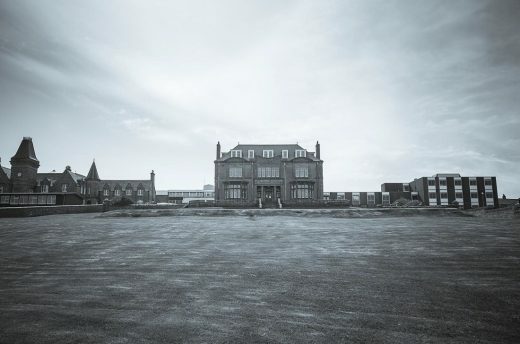 As part of this work three listed buildings; Anderson Institute; and the Janet Courtney and Bruce Hostels, will be given a fresh lease of life. 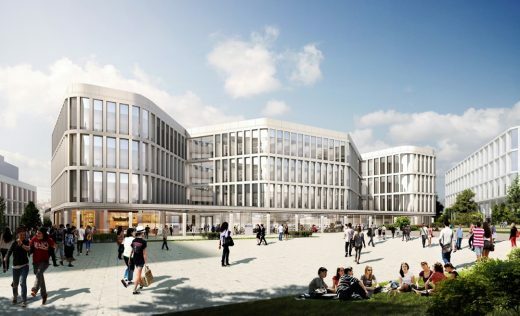 17th February 2017 – Global infrastructure services firm AECOM and 7N Architects have secured Planning Permission in Principle consent from Glasgow City Council for their masterplan for the University of Glasgow. 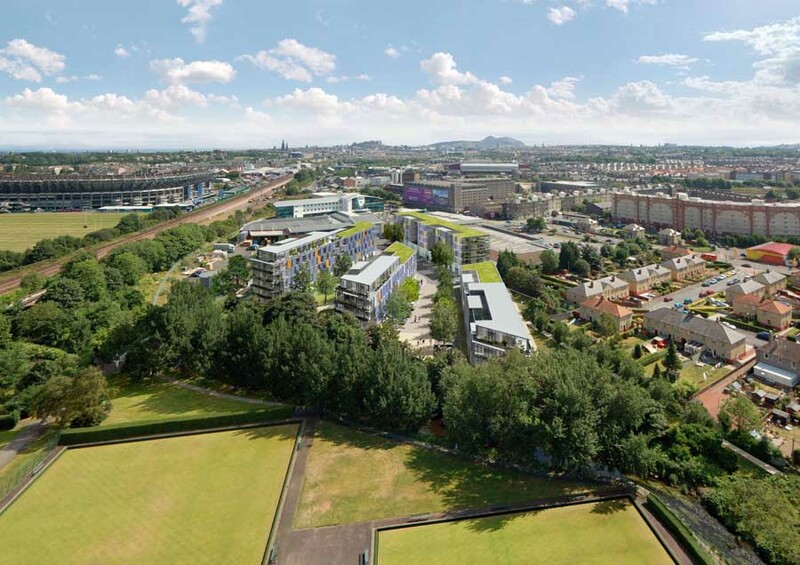 The masterplan provides a development and placemaking framework for a significant expansion of the University’s Gilmorehill Campus on the site of the former Glasgow Western Infirmary in the heart of the West End of the city. 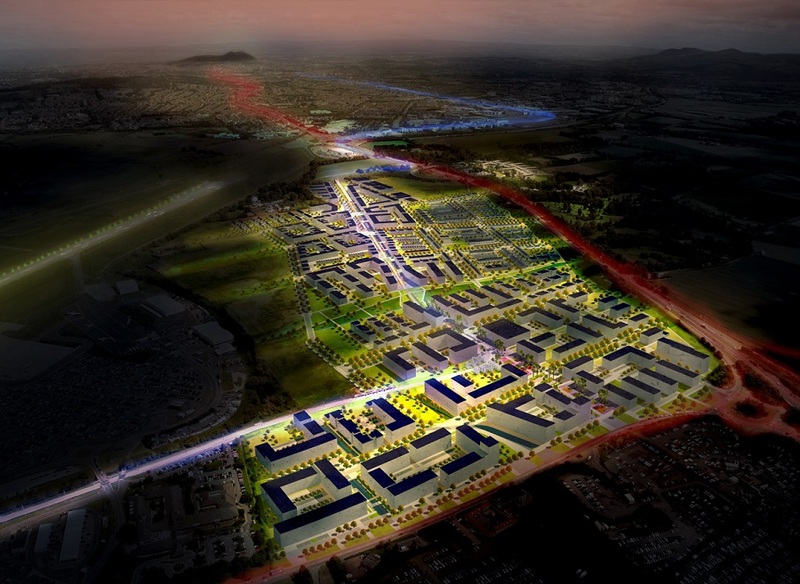 Plans submitted for the first phase of a £700m new district which will see a business park complete with homes, offices and shops built at Edinburgh Airport. The project will create 193 new affordable homes and 10,000sq.ft of small business space whilst opening up new links connecting Stevenson Road to Balgreen over a new footbridge. The project was designed by 7N Architects and RankinFraser Landscape Architecture for the Glasgow Canal Regeneration Partnership. Ewan Anderson of 7N Architects said “The project is fundamentally about opening up access to lifelong learning to people from a wide range of academic disciplines and backgrounds. The masterplan aims to bring people together in an inspiring environment which is woven into the social and cultural fabric of Inverness”. Seven former members of Make’s Edinburgh studio have formed their own practice 7N Architects which was established at the beginning of January. The new practice has already secured several long term projects including Inverness Campus, the new university campus for the Highlands and Islands, and Westfield, a 193 dwelling mixed use development for Dunedin Canmore Housing Association in Edinburgh which is due to start on site later this year. Both projects have been inherited from Make who have been supportive of the new venture. The team, led by Ewan Anderson, have worked together for a number of years most recently on projects such as the Royal Highland Showground, the former Edinburgh Odeon, Inverness Airport Business Park and Speirs Locks in Glasgow. Ewan Anderson is positive about the challenge of starting up a new business in difficult times. “We know that it is a difficult time to be setting up a new business but we are off to a good start with the projects that we have already secured and, being a start up, we have a sharp eye on our costs and are not encumbered by any long term commitments. We’ve a very focussed team, who have that extra level of commitment from being partners in the practice. There has been a tremendous level of support from clients, and people that are keen to work with us, who have all got behind the idea of creating something positive in the current climate. In many ways it is a good time to be starting up as a lot of established certainties are no more. Many people are looking to rethink how they do things so there are opportunities out there for fresh ideas and approaches. July 31, 2017 in Architects.